Hummingbird Poems. Submit your poem. 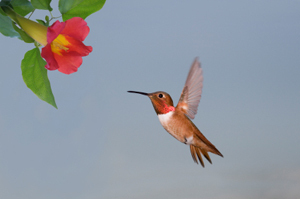 Here are a few Hummingbird Poems to warm your heart. We would love to hear your poems to warm our hearts! 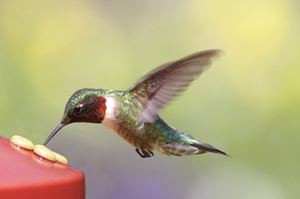 Enjoy these famous poems about hummingbirds along with my (Ruth's) "not-so-famous" poem. This poem by Pulitzer Prize winning poet Mary Oliver is my personal favorite. You can find it in her book “RED BIRD”. and, like them, I am full of delight, and shaking. This poem by Emily Dickinson is possibly the best known Hummingbird Poem. Here is the beautiful Pablo Neruda Poem, "Ode to the Hummingbird". A great Robert Frost Hummingbird Poem, "A Prayer in Spring". A modern style DH Lawrence Poem, "Humming-bird". Do you have a "Hummingbird Poem" that you would like to share? We would love to hear it! Please Use the FORM below to Submit Your Poem. I wrote this poem one late Autumn afternoon. As my husband was chopping wood for our log cabin, a hummingbird stopped by our feeder one last time before his long migratory journey south. Sentimentality about the passage of time in general was crystalized by the hummingbird's last meal of the season. as it buzzes by my window. Perhaps into a world not your own?" fly off with my writer's words. with the words I wanted to say.